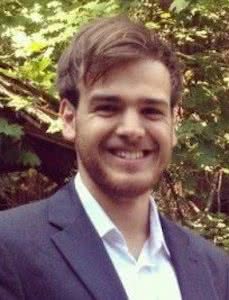 Qualified teacher and experienced GCSE maths Tutor Adam S has worked with maths teachers across different schools to come up with predicted grade boundaries for the Edexcel 9-1 Maths GCSE. As this is the first year the new Maths GCSE 9-1 is being sat, this is the best resource to help you understand your predicted grade and to examine the Edexcel Maths GCSE Grade Boundaries. As there are no past papers available yet for the new Mathematics GCSE exam, completing all three sample papers from Edexcel is your best chance to get an accurate view of your predicted grade. 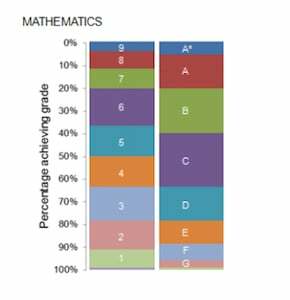 The Grading score for the new mathematics GCSE is different to the old GCSE scheme. The new grading scale uses 1-9 in place of the more familiar letters A* to G.
This means that grade 9 is the highest grade and equates to an A*. Grade 4 will be the same as grade C and grade 7 is the same as Grade A. On top of this data Adam S has used analysis from maths teachers across different schools to provide further grade boundary predictions for the Edexcel GCSE maths paper. It is important to remember these are still predictions, based on a small sample size of individual schools and not all schools in the UK. If you sit the Higher paper your grade will range from 4-9. Therefore, based on Adam’s predictions, a score of 63 out of 80 will give you an A where as a score of 54 out of 80 will give you an E.
These predicted grade boundaries are incredibly helpful to use alongside your studies. They can help students understand their performance and decide what areas need improvement. Looking for more blogs on the new 9-1 GCSE? In this blog, New Maths 9-1 GCSE, Adam S outlines explains all you need to know about the new maths 9-1 GCSE providing sample papers for all exam boards as well as insight into the exam itself.